My Family Affair: Is Mose the Brother of Daniel McRae? Is Mose the Brother of Daniel McRae? I spoke to a lady that I contacted over the weekend that is related to the McRae family. Her name is Deborah and she is the great great granddaughter of a Daniel McRae, whom she believes is the brother of Mose McRae that married Matilda. There were so many Mose and Matildas in those times until it makes it extremely difficult to merge the families at all She told me that she met with Milberm McRae, Jr in the Montgomery County area some years back after hiring a University of Georgia student to help her with the research in the area, who in turn solicited a Genealogist from the Georgia Historical Society. Milbern is definitely a connection here, because he is the grandson of Mose. These researchers put Deborah in touch with Milbern, but she is unable to find the report from the genealogist at the moment to confirm that her Mose is in fact my great great grandfather Mose. I need to write to Montgomery County to get a copy of Mose McRae's death certificate in hopes that it lists his mother's name. As for right now, that link is on hold, and I am still taking a break from it all. January 2016 Jesse McRae presented his book, A History of The African American McRaes of Georgia, to the Georgia Historical Society. There is a great deal in the book that explains the connection of Mose and Daneil McRae. Apparantly Mose's mother Mary was the sister of Daniel McRae, also the sister of Mose's mother in law Susan. Yes it looks like Mose and Matilda were first cousins, because Mary and Susan were the daughters of another Matilda McRae, which is where Matilda McAllister McRae got her name. Mose's parents was Mary and Nelson McRae, and the only known siblings are Mary, Ann, and Betsey. There is possibly a half sibling also named Nelson. You and I are a DNA match at Ancestry DNA. I am also matched to multiple known relatives of the Deborah you mention here. My 3rd great-grandmother was Amy McRae. She married Rubin Wooten of Montgomery County. I believe Amy died prior to 1900, so I don't have a death certificate for her. 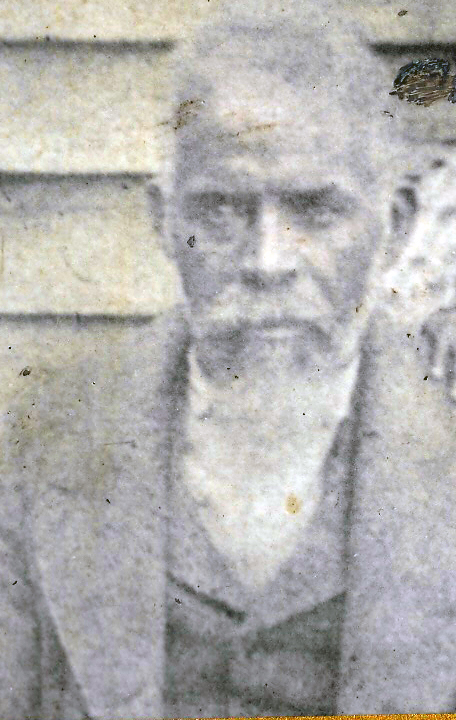 Her son, James Wooten, was enumerated as the nephew in the Fork, Montgomery County, household of Jordan McRae and his wife, Eliza, in 1900. This census indicates that Jordan was born approximately 1841 in South Carolina. In 1900 his the children in his home are: John, Moses, Mary O, Rosetta D, Dolly M, William L, Fred L, Charles L and Violet E.
There were two close in age Jordan McRaes in the same area. The other one was a descendant of Moses McRae and his wife, Temperance (Tempy). I have interacted with many of their descendants online and there doesn't appear to be a DNA connection to them. I can only find a death record for one Jordan McRae who died in Montgomery County, 15 JAN 1944. I have a death record for Moses McRae of Wheeler County, 11 MAY 1927. His birthplace is listed as "Wilkinson Co. now Wheeler" and parents are Nelson McRae and Morry McRae (Mary). The informant is M M McRae (Milbern Moses) of Ailey, Georgia. Place of burial is Horn Mission, which is my family's home church in Alamo. His approximate birth would be 1837. I believe that my Amy is Jordan's sister. So, are they both siblings to Moses? I am trying to firm up the evidence that leads me to believe Amy was also a daughter of Nelson McRae and Mary. They would be my 4th great-grandparents. Would love to chat with you any time! Is Deborah a descendant of Daniel McRae? I am not aware of my Mose McRae to have siblings with those names. Milbern Moses McRae Jr grandson of Moses McRae is my father. Deborah is the great grandchild of Daniel McRae and Francis Wooten. I am hoping to talk with you soon.I am still looking into the Jordan and Amy McRae. On Mose's death certificate it does state that Wilkinson County is now Wheeler County. I will get back to you on this information. I am going to forward this to a couple of other family historians and see what they know. The connection may be through Amy's husband Rubin McRae. Rubin's mother is Hannah Wooten and there is a Hannah Wooten that is the wife of Nelson McRae. Nelson is the son of Matilda McRae (b 1807). Deborah is the great grandchild of Daniel McRae, Nelson's brother, and Tonya and I are the GG Grands of Nelson's sisters (Mary and Susan. Rubin and family are on the 1880 census next to Moses and Matilda. There are some age discrepancies but it is a place to start. Rubin, Amy and family are also living right next to Matilda on the 1870 census. Good looking out Jesse. Thanks I have passed the information on to Sara. My Hannah Wooten is actually the mother of Rubin WOOTEN. Rubin Wooten married Amy McRae. Going to E-mail you both shortly!